A young witch in need of some shut-eye learns that diplomacy and problem-solving work wonders in dealing with noisy neighbors. Hildie is a girl with a routine. 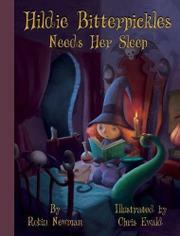 Every night the red-haired white girl brushes her teeth, puts away her spell book, and goes to bed with her cat, Clawdia. But recently, her rest has been thwarted by her neighbors. Though they are never specifically referred to by name or by fairy tale, they will nonetheless be familiar to young readers: a giant whose beanstalk elevator rattles and clanks, a family in a shoe-shaped trailer with a racially diverse brood that plays baseball all night long, and a wolf who accidentally blows the roof off Hildie’s house. Exasperated, Hildie decides to move, turning to the classifieds in the Daily Witch for inspiration. Rat Realty’s owner, Monty, suggests two rentals, but neither gives Hildie a full night’s sleep. His third property is Hildie’s own home, and she finally tries some diplomacy with her neighbors. While the witch cleverly pairs her neighbors’ issues with her own failed solutions (the three tinkering blind mice fix the elevator), the story lacks the sparkle and wit of Newman’s first outing. Ewald, in his picture-book debut, folds in lots of references to other fairy tales and nursery rhymes, but several of his digital spreads are too dark to make out details.